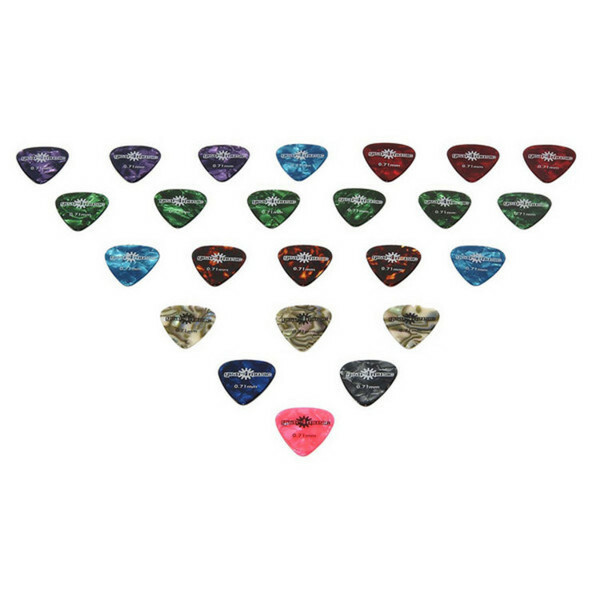 Pack includes 24 quality shell guitar picks in assorted gauges: 8 x .81mm, 8 x .71mm and 8 x .46mm. Ideal for fast, accurate playing in all styles. High quality guitar picks, for fast and accurate playing in any style. Assorted colours and thickness.